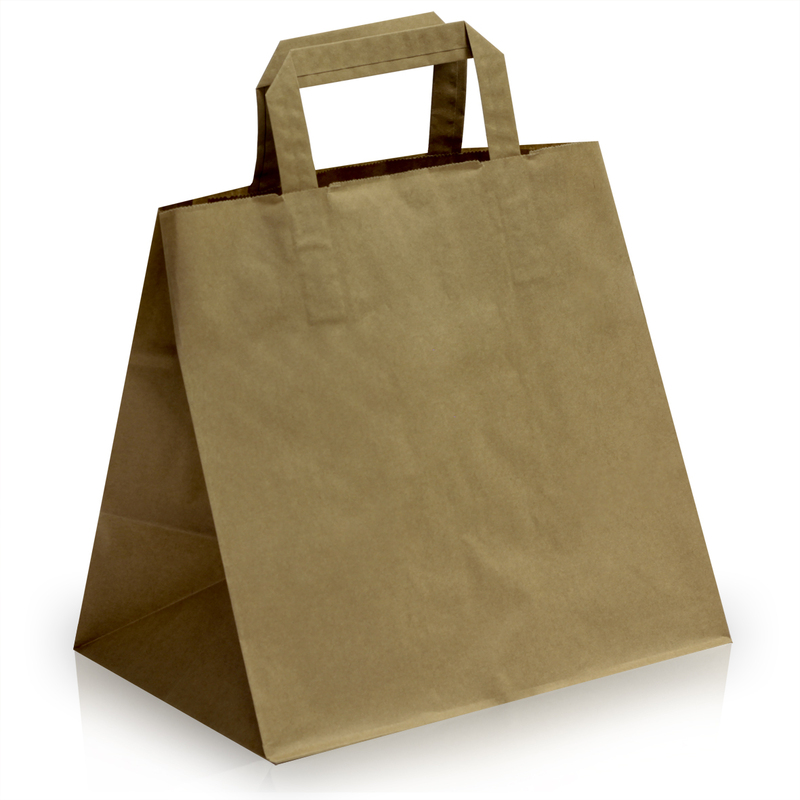 Our range of Brown Kraft Paper Patisserie Bags with Flat Handles are very popular with our customers as they offer great value for money! 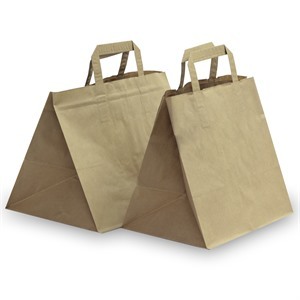 Ideal for those in the food industry looking for an alternative to plastic bags. Made from 70gsm kraft paper. Flat tape handles attached to the interior of the bags. Not suitable for heavy items such as bottles etc. Flat block bottom suited for large boxes like cake boxes and bento boxes. 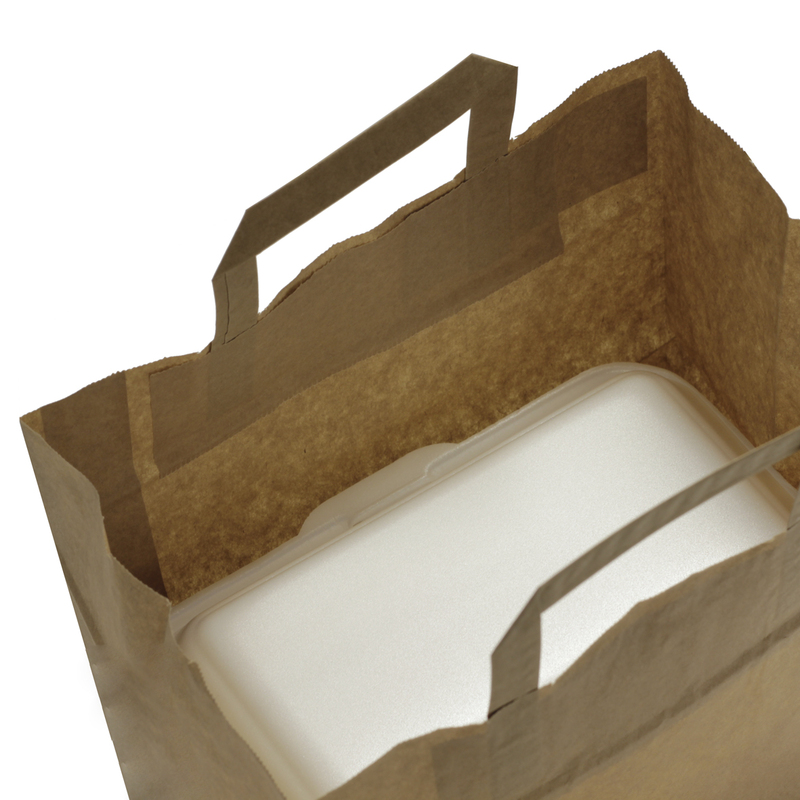 These bags are commonly used in cafes, take away outlets, catering outlets and other retail stores. Our stock of Flat Handled Paper Carrier Bags are our most popular range of Paper Bags and we are able to overprint them with your chosen design. If you require something a little more complex please contact our Sales Team who will be happy to help. If you need a special size we can have the bags hand made in Europe to your specification.